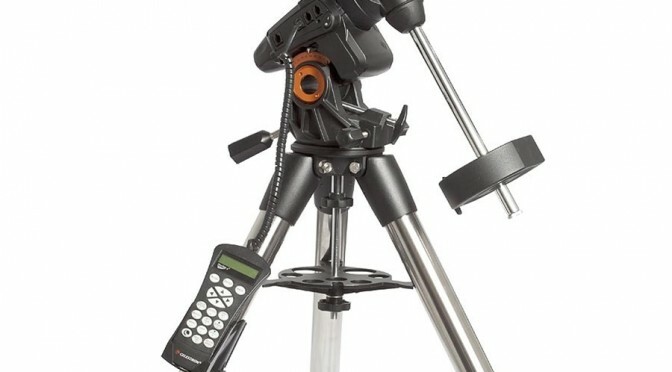 I bought the Celestron C11 with the AVX Mount last May and was so disappointed that the mount is broken. 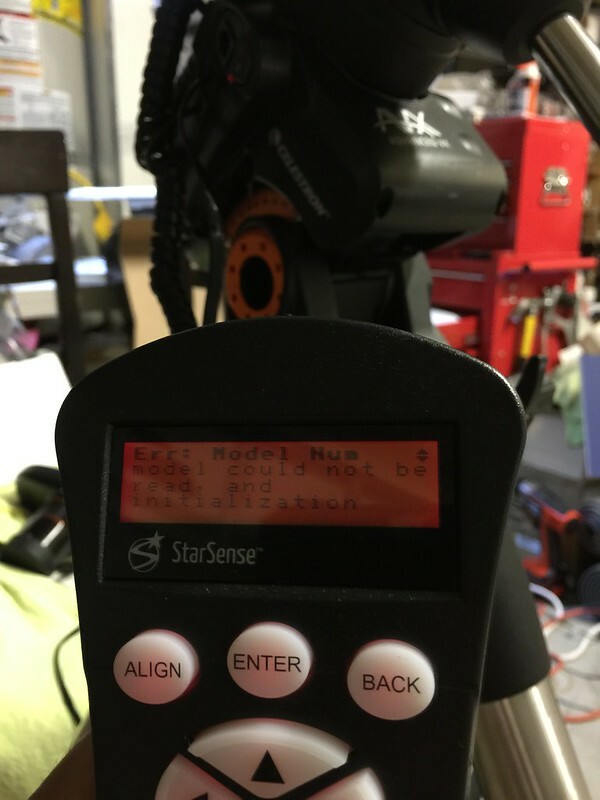 All I’m getting from the NexStar+ hand controller was Error 16 and 17, while I’m getting a better error message on the StarSense hand controller where it says “Unknown model, can’t communicate”. Called the service center and they we’re all very helpful but again disappointed with the repair duration where it will take 30 working days. That’s technically 6 weeks of waiting. Well what can I do than to wait. This might be good for me as it buys me time to complete my Focuser. The mount on it’s way to the service center. 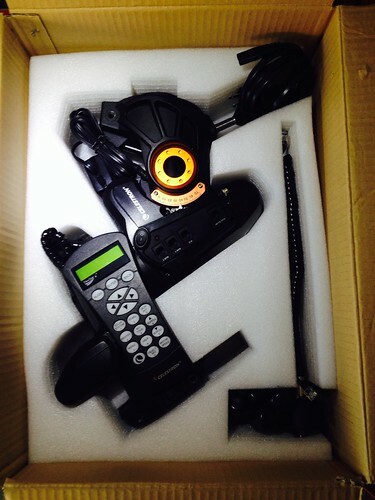 Yesterday I received the mount, surprised that it was early. Did a quick test and it seemed to work just fine. I noticed some problems on the mount as the cover for the RA motors seems to be missing. The cover of the declination motors seems to be touching the rotating head and I can clearly hear the friction. Took my screw driver and just readjusted to give some clearance. 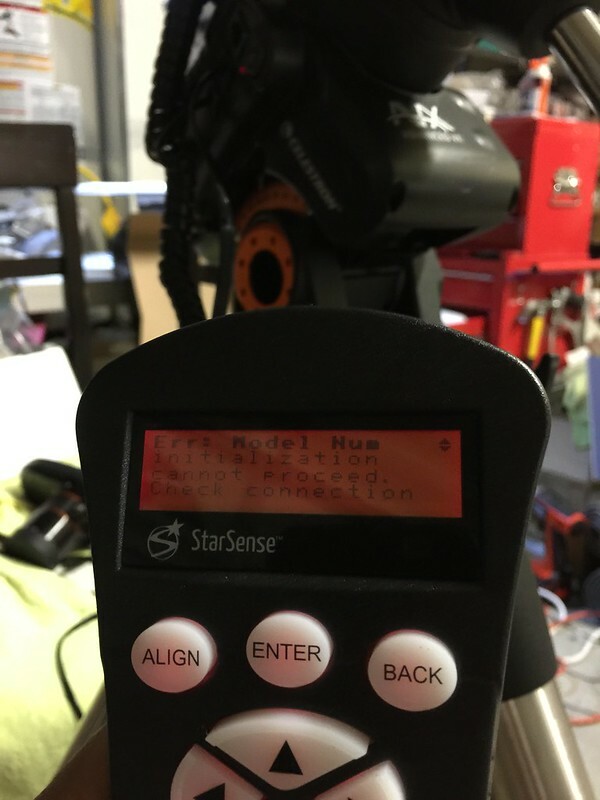 Today, I just thought of checking the StarSense AutoAlign with the mount, and unfortunately it was not working. 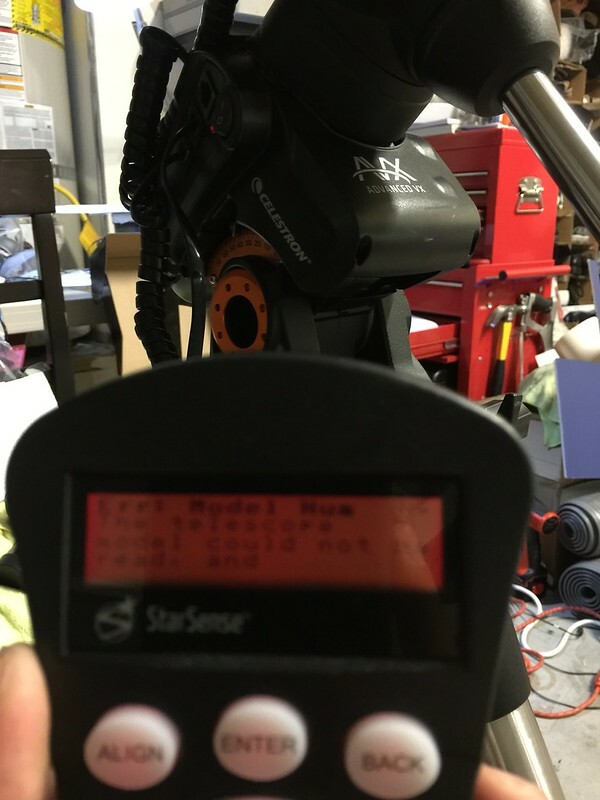 The StarSense hand controller is reporting that the mount is not known. What a bummer. 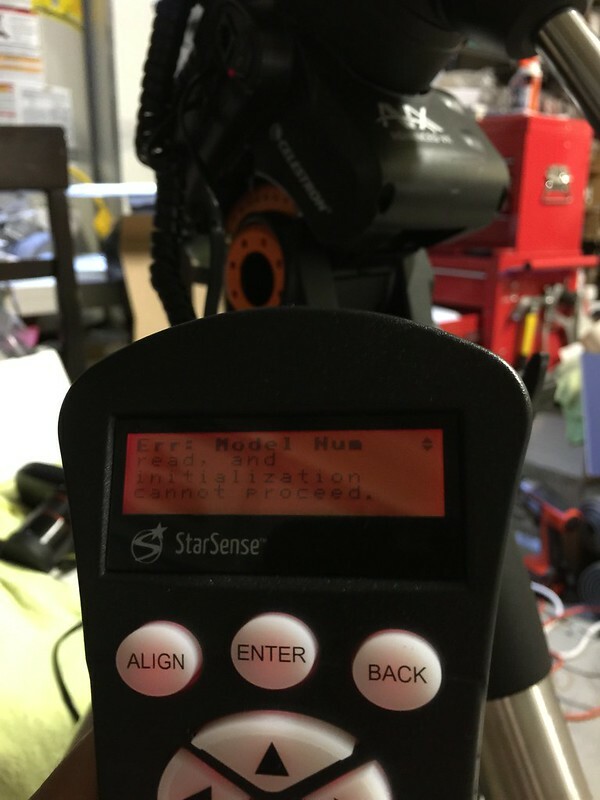 Extremely dissatisfied with Celestron Repair Service.